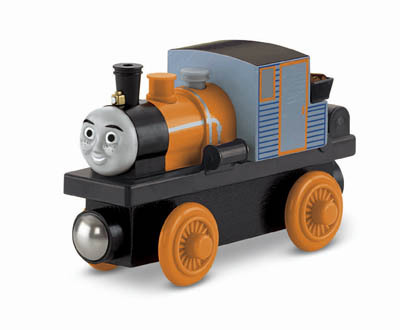 Dash is one of the newest members of the Thomas and Friends collection. Dash is a wood powered engine and works on Misty Island. Be sure to collect Dash's Twin, Bash. Bash and Dash are mischievous twins who always finish each others sentences. Bash can connect to other Wooden Railway engines and vehicles with magnet connectors. Perfect for Thomas & Friends™ Wooden Railway sets!